Become a Master Fishkeeper! 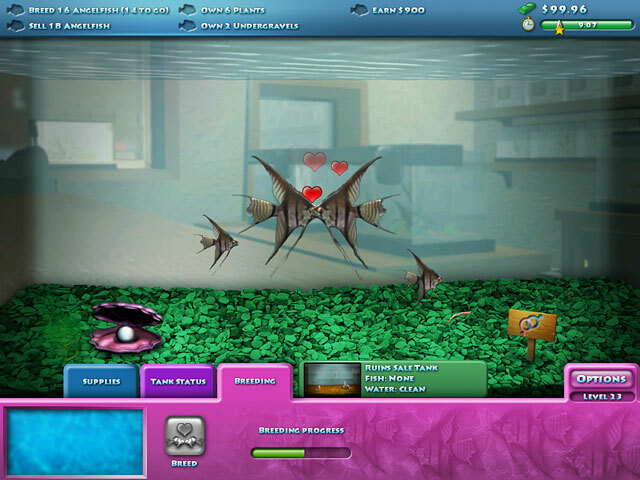 Breed, raise, and sell a huge variety of fishes in this awesome aquatic Time Management game! 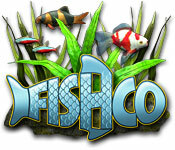 Build a thriving business through a multitude of challenging fishtastic levels. Unlock new fishes and plants; upgrade your aquatic arsenal; and purchase food and medicine to keep your fishes happy and healthy! Take a breather in Sandbox Mode and customize your very own fish tank. Test the waters with Fishco ™ today! FishCo is rated 4.5 out of 5 by 15. Rated 5 out of 5 by AmberAmanda from Amber GOOD! AWSM! AMASING! GRATE! GOOD! Rated 5 out of 5 by PMonk1006 from $2.99 on iPad - very fun game! I loved FishCo. There are many fun and challenging levels. This is a classic time management/strategy game. I consider myself an expert but still found some levels very challenging. I couldn't get the "expert" score on a few. I downloaded and played this game on my iPad for $2.99 - which is significantly cheaper than $6.99 for the desktop game. I recommend playing on your iPad if you have one. Rated 5 out of 5 by 50Squirrels from Not enough good fish games like this Story is straight forward, enjoyable surroundings and calm music, great variety of fish and plants, challenging goals (or casual if you like), and a lot of fun to play. The higher the levels, the bigger and meaner the fish. I was horrified when one got eaten, but the "chomp" sound was hilarious and made it so much more rewarding when I could achieve the goal without any casualties. You will be hooked! Rated 5 out of 5 by AdrianaIP from Beautiful fish If you think that selling fish is not much of a challenge, think again. Between switching tanks and keeping them clean, and making fish are fed (do not put ciclids with others or they will eat them), this game keeps you on your toes. That you get to see the fish grow and show their beautiful colors is a plus. There is a relaxed mode, but still it is tough there, because if you go over your time limit you do not get your reward for your tanks. A top notch time management game. 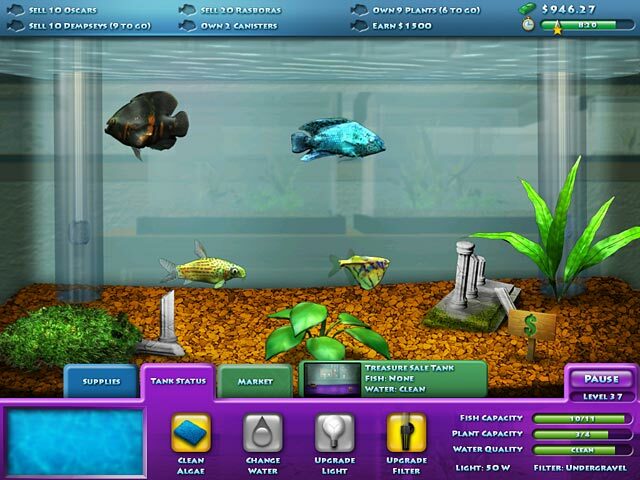 Rated 5 out of 5 by jw322701 from "Fish Tycoon/Time Management" Crossbreed Manage a multi-tank fish shop where you are responsible for your fish health, breeding, sales, etc. 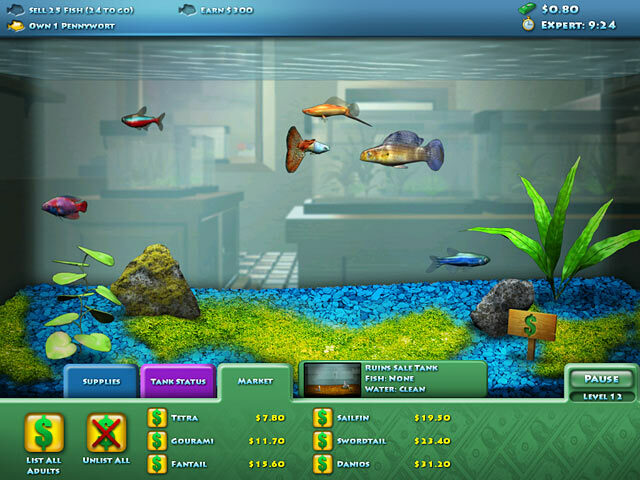 The game is progressive - as you advance through levels, new fish and tank fixtures become available; but the actual gameplay is separated into individual levels of 5-10 minutes each where goals may range from "breed 10 beta fish" to "earn $1000 in sales." Great game that takes the best of tycoon and time management and seamlessly incorporates them into one. Rated 5 out of 5 by tankgirlb from Where is FishCo 2 I love this game and at the end, it slightly hints to another game. Where is it? PLEASE make one. Colorful, peaceful, and I really enjoy it. Play it over and over. Thanks for making it, now make the new one! Rated 5 out of 5 by KarlaC from Great game! I'm not usually big on time management, this game was the exception. I found the graphics realistic and beautiful. There is a relaxed mode, which I really liked. Rated 5 out of 5 by AussieGirlCL from Lovely! I love this game. It is challenging but also relaxing. The music is just lovely and I feel very serene when I play it. I just played the one hour free trial and am about to purchase it, am curious about the sandbox everyone seems to love! It is just lovely and very relaxing, a keeper for sure! Rated 5 out of 5 by lacard from Challenging yet relaxing Love the visuals and sound. It's relaxing but requires thought about how to achieve the goals. The sandbox is pure relaxation. Become a Master Fishkeeper! Breed, raise, and sell a huge variety of fishes in this awesome aquatic Time Management game!